DETROIT -- Takata Corp. said Wednesday it plans to boost production of parts needed to replace potentially deadly air bag inflators that could spray vehicle occupants with metal shards. Takata's air bag inflators have been found to explode with too much force, spraying metal fragment inside cars and forcing automakers to recall more than 53 million vehicles worldwide since 2008. The component has been linked to six deaths, all in cars made by the supplier's top customer, Honda Motor (HMC). 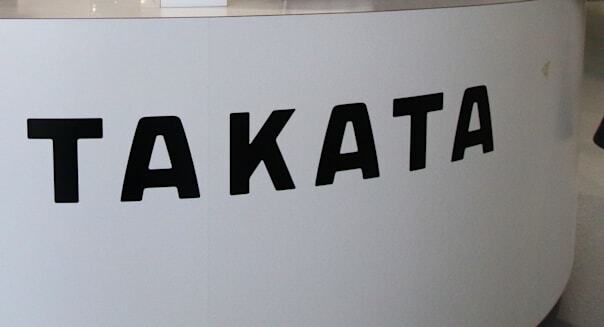 A Takata spokesman said the company will boost output of the replacement parts to 1 million inflators a month by September, an increase of 100,000 parts from the previous forecast and up from the current monthly level of 500,000. He didn't specify if all the additional production would be added at Takata's inflator plant in Monclova, Mexico. On Tuesday, Mark Rosekind, administrator for the U.S. National Highway Traffic Safety Administration, said he didn't know how long it would take to complete the Takata recall. "There is no question, it could be some years," he said. A Honda spokesman said on Wednesday that the company also is using Japan's Daicel Corp. and TRW for replacement inflators. TRW was recently acquired by Germany's ZF Friedrichshafen. Daicel said in February it would build a second U.S. plant for air bag inflators in early 2016, bringing forward plans partly to meet demand for alternatives to Takata's potentially deadly inflators. It said the previous month it would boost output of replacement inflators in Japan. A spokesman for Nissan Motor said Wednesday that the company wouldn't comment about supplier selection or potential negotiations. Ford Motor (F) has previously said it has spoken with Takata rivals about buying replacement parts. -With additional reporting by David Morgan in Washington.